If your homemade cakes taste delicious but end up looking like a hot mess after your attempt at frosting, it may be time to take some icing cues from the pros. One of the tricks of having your cake appear as if a professional chef baked it is to freeze it before adding the icing. 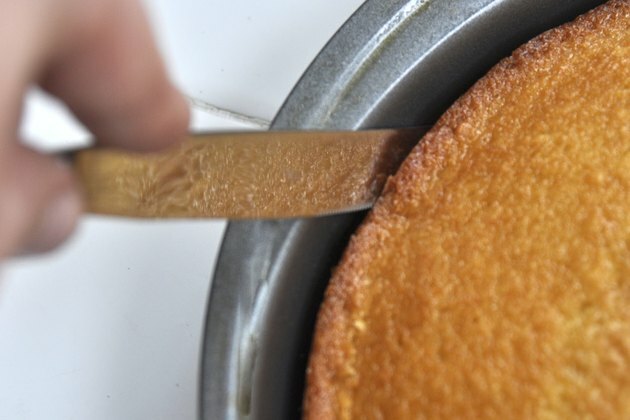 Along with keeping the moisture intact for fresh-baked cakes, freezing helps to rid the cake of crumbs and smooth the surface, allowing the frosting to be applied in a even and appealing manner. 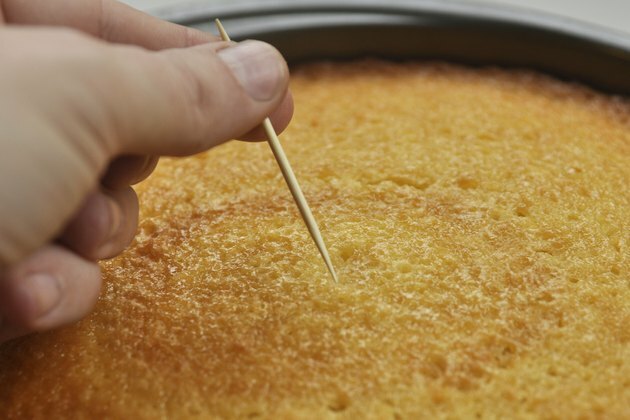 Place a toothpick or skewer gently into the center of the cake to test the readiness of the cake; take the cake out of the oven when the toothpick or skewer is clean or almost clean and contains no wet batter. 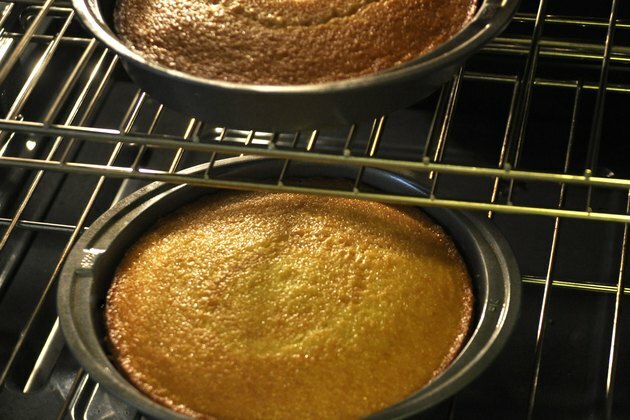 Allow the cake to sit in the baking pan for approximately 10 minutes after it has been removed from the oven. 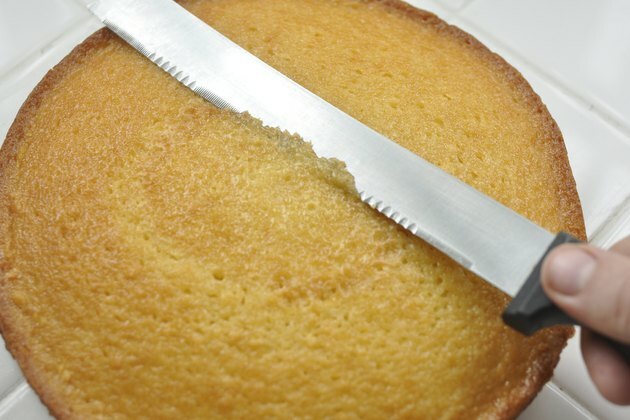 Run a knife around the edge of the cake to loosen it in the pan. Place oven mitts on your hands or grasp potholders for safety and release the cake onto a wire rack; allow the cake to cool completely before preparing it for the freezer. 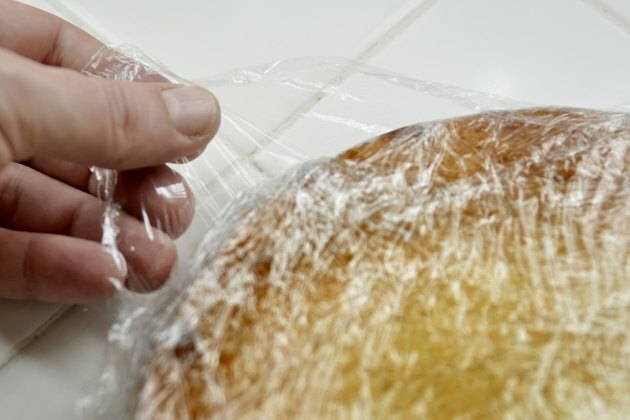 Wrap the cake in two layers of food-safe cellophane or wax paper. Wrapping the cake twice is imperative for protecting it while it is in the freezer. Keep the wrapping loose so as to not damage the structure, yet make sure the cake is fully covered by both layers of wrap or paper. 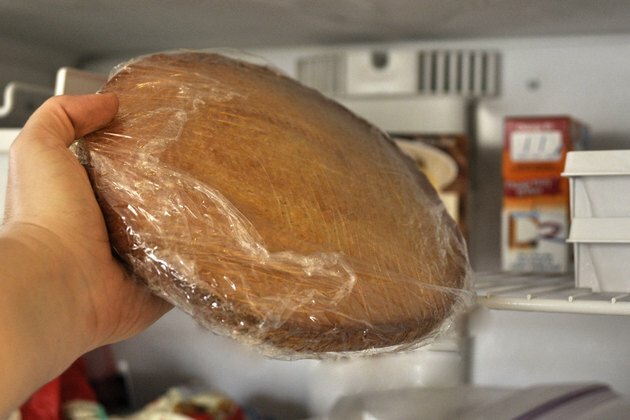 Put the cake on a flat, clear space in the freezer. Allow the cake to sit in the freezer for at least eight hours; you can freeze the cake overnight if you prefer. Remove the cake from the freezer when you are ready to apply the frosting. Unwrap the paper carefully. Allow the cake to defrost for 20 to 30 minutes so that it is still firm yet not completely frozen. Remove any uneven edges off the top with a serrated knife. Allow the cake to come to room temperature and then apply the frosting. Work with the cake on a Lazy Susan if possible when removing its edges and during the frosting process; the Lazy Susan makes it easier to rotate the cake as you work with the knife or frosting tools. Be mindful when working with delicate cakes, such as angel food or sponge cakes. 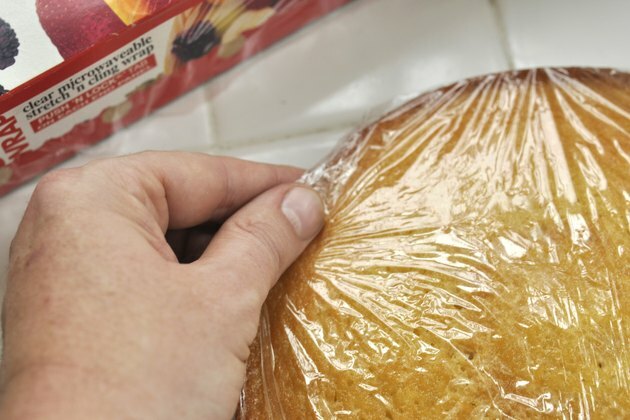 Apply and remove the wrapping, before and after freezing, very carefully to avoid damaging the shape of the cake.